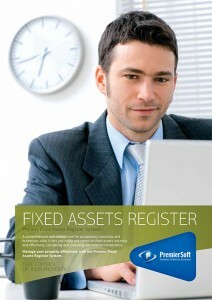 The Premier Fixed Assets Register system manages company assets throughout their lifetime. This enables verification and reporting on tangible fixed assets instantly. It is a simple to use, yet highly efficient tool for accountancy practices and businesses alike. At the push of a button the Fixed Assets Register will update the accounting system or generate any information required. Once set up, it saves time and effort year in, year out.